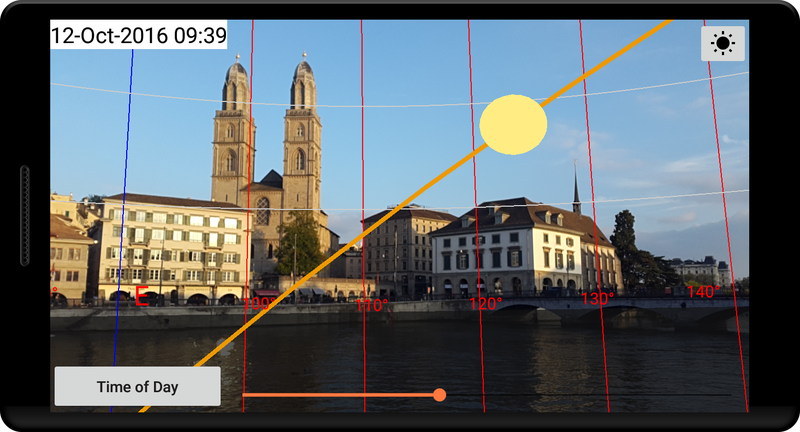 Simulate the Sun and Moon location for any time and day through your camera..
Fastforward from sunset to sunrise and through the seasons. 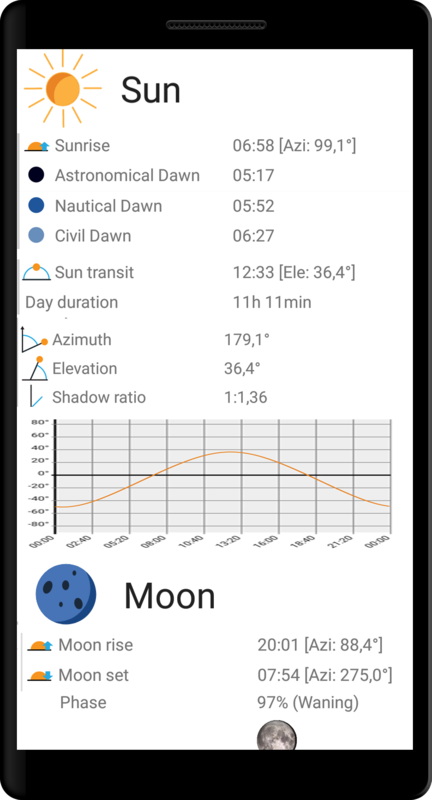 Visualize the sun position over the course of the day and year. Simulate the shadow direction and length. Zoom in/out, pan, rotate and tilt. Interactive visualization of the earth showing daylight and twilight regions. Fun to know where the sun will rise our set. I also use it to teach kids about the seasons. Favorite app. Kept simple and yet very helpful for planning shootings.. The app is useful to me in connection with my work as a photographer, especially in real estate photography, architecture and sometimes business. It also helps me in landscape picture. Great to set the path of light in the set of photos and footage and especially for timelapse. The Sun Locator app requests so called "sensitive device information". Specifically, this is the device position (GPS) and camera access. Device Position (GPS): GPS data is requested when you click on "Location from GPS" to use your current location. Other data (e.g user data): No other data is used by the app. Data collection/Data storage: Absolute none! No data from your device is sent to any servers, no analytics is performed. The data stays on your device, all the calculations are done directly on your device.